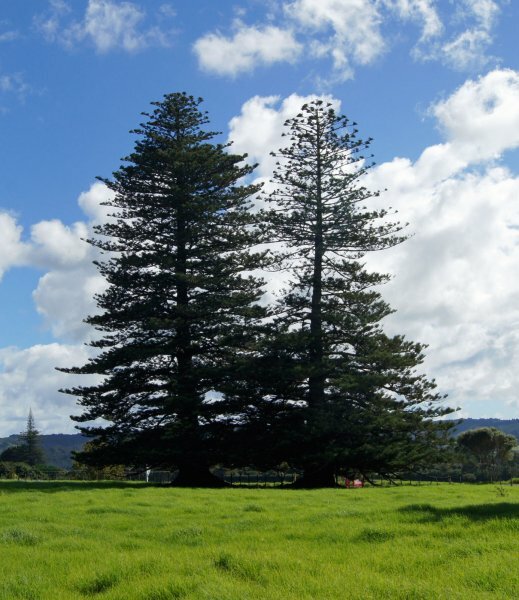 The largest and tallest of two Norfolk Island pines at Waimate North Mission, very likely one of the trees introduced in 1836 by John Edgerley, gardener and botanist to Lieutenant Thomas McDonnell, R.N. (Retired). 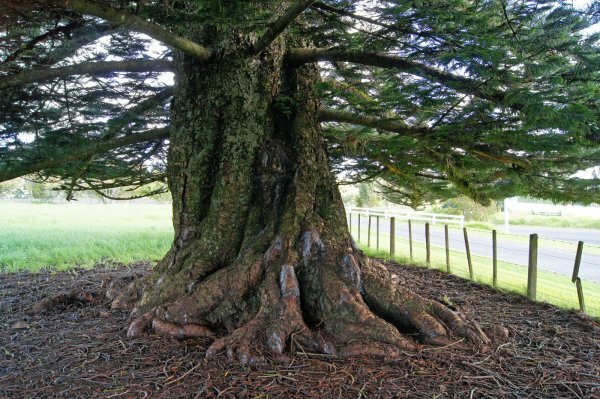 It is generally accepted that this was the first introduction of the species to New Zealand and which were reported to have been planted at a number of mission stations in the North (Hodgson, G.L. 2015). 23 Apr 2016 Smillie, M.